Free Practice: In the free practice sessions the Kaufmann Drivers were running on a good pace. In free practice 1 it was Tunjo P 5, Malja P 11 and Schothorst P 15. In the second free practice even stronger Tunjo P 3, Malja P 4 and Schothorst P 13. 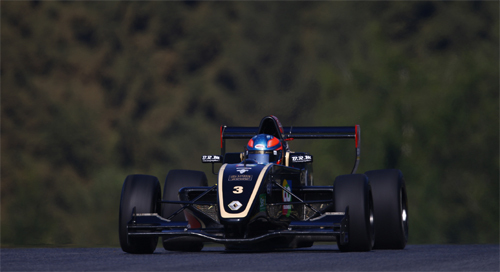 Qualifying 1: In Group A it was Tunjo showing a stron Qualifying on P 2. Schothorst and Malja in Group B finished P 4 and P 7. On the grid, Tunjo - P 4, Schothorst - P 6 and Malja P 13. Race 1: Tunjo and Schothorst first kept positions. 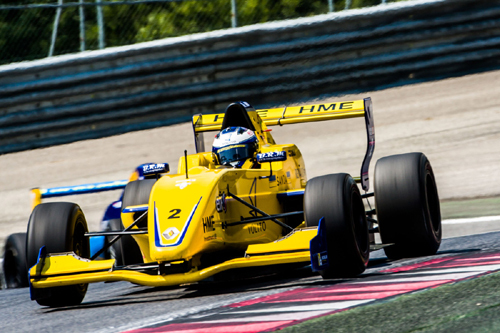 Malja moved up directly to P 12 and that was also the position he kept untill the chequered flag. Tunjo made a small driving mistake in lap 1 and dropped to P 8 and also finished the race there. Schothorst drove a strong race finishing on P 6. Qualifying 2: Malja and Schothorst first on track in Group B took P 9 and P 5. Tunjo in Group B as well on P 5. Overall Tunjo P 9, Schothorst P 10 and Malja P 18. 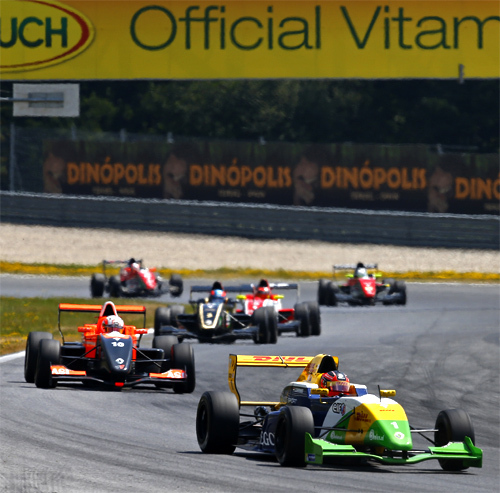 Race 2: Schothorst and Tunjo first were able to move up some positions at the start. Gustav Malja had to retire from the race pretty early as a driver crashed into the swede in turn 2. Steijn Schothorst was a bit unlucky while fighting for Top 5 position and was pushed off the track dropping back to P 10, where he also finished the race. Oscar Tunjo was very fast on track and managed to finish on a good P 6 in the end.